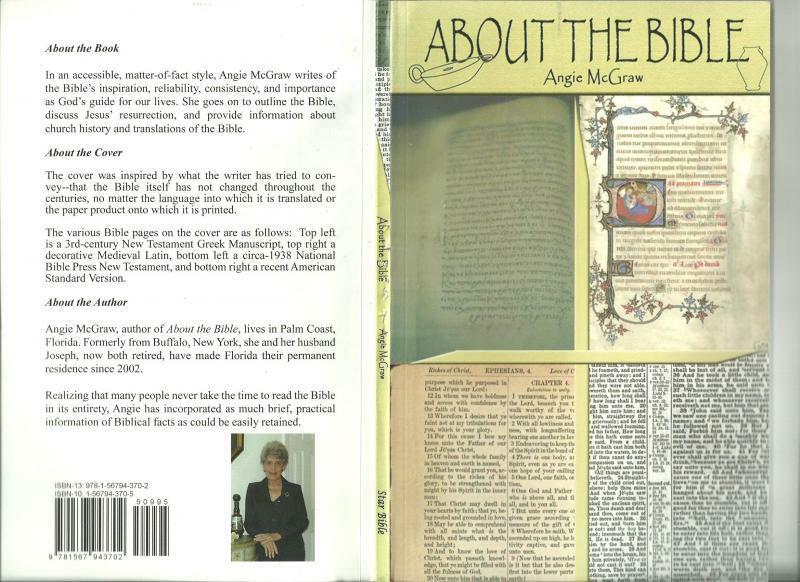 "In an accessible, matter-of-fact style, Angie McGraw writes of the Bible's inspiration, reliability, consistency, and importance as God's guide for our lives. She goes on to outline the Bible, discuss Jesus's resurrection, and provide information about church history and translations of the Bible." For the person who is not too familiar with the Bible, but would like an abundance of information that would be helpful as they become interested and involved with the Bible, this book would be of special value. Knowledge of Old and New Testament writings enhances the study of the Bible and its uniqueness. It's brief narratives concerning each of the Old Testament and New Testament gospels and epistles gives the reader an excellent overview and understandable introduction. Both novice and learned Bible readers can find new knowledge or bring to mind dormant pertinent facts for their edification. The paperback version of this book is available by contacting Angie via e-mail at jamcgraw@cfl.rr.com or churchofchristflagler@gmail.com. Should you prefer, you may call 386-437-1941 to arrange to receive a copy. Your voluntary contribution is appreciated and benefits the Central Church of Christ of Flagler County.